ThinkHammer: The New Blogger -- What a difference! The New Blogger -- What a difference! I'm still looking for a reason to fall in love with the new Blogger editing interface. I guess I need to spend more time with it. Anyone love it yet? 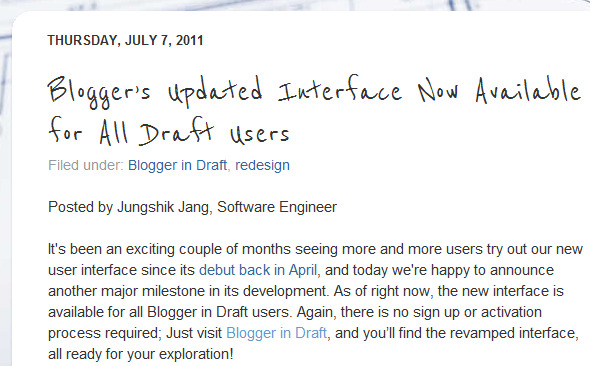 Read about all the changes on the Blogger in Draft blog.